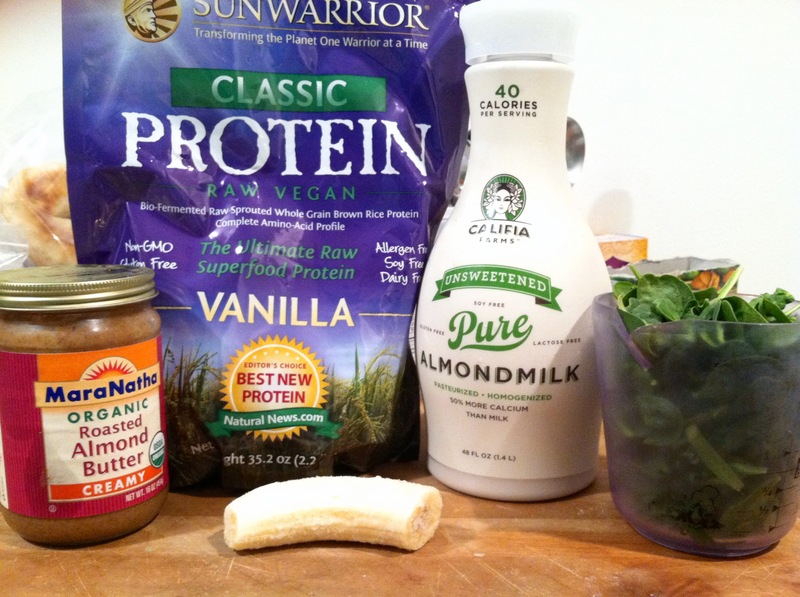 I’ve been enjoying my vanilla almond green protein smoothies, but I decided to try making this recipe a little bit differently today. 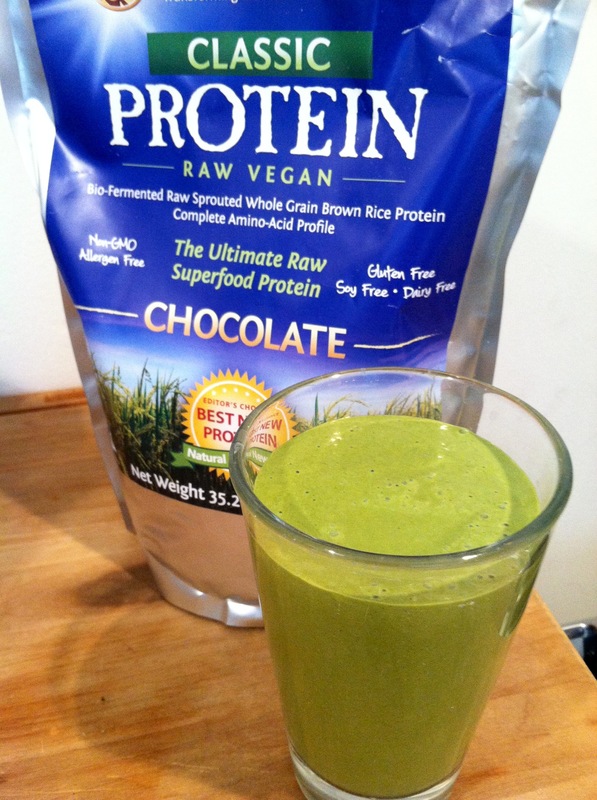 By substituting peanut butter for almond butter and chocolate protein powder for vanilla protein powder, I, instead, created this chocolate peanut butter green protein smoothie. 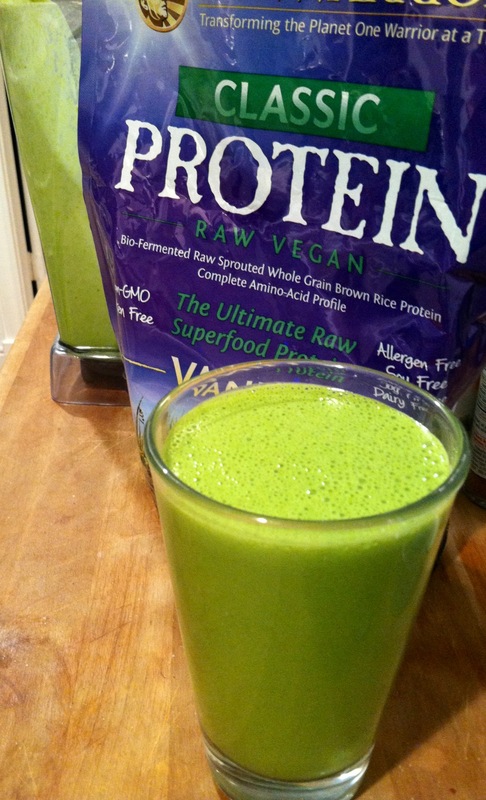 This chocolate peanut butter green protein smoothie is creamy and delicious. It is also very filling. I personally tasted the peanut butter the most and then the chocolate protein powder, which made this taste less like a green smoothie and more like a chocolate peanut butter smoothie. This vegan and gluten-free smoothie keeps sugar and carbs low by using unsweetened almond milk, unsweetened peanut butter and only half of a banana. Additionally, this smoothie provides a good source of potassium, dietary fiber, protein as well as many vitamins and minerals. Start by thoroughly washing and drying your spinach leaves. Then measure out a heaping two cups and put that into your high speed blender or vitamix. Also add your cup of unsweetened almond milk, one tablespoon of peanut butter, one scoop of chocolate protein powder and half a frozen banana to your blender. Blend on high for about two minutes, or until desired consistency is desired. Note: To freeze bananas, when ripe, I cut them in half and put them in freezer bags. This way they are ready for whenever you want a nice cold green smoothie. If you don’t have any frozen bananas, simply add a handful of ice to your blender to get a nice, cold, refreshing smoothie. One serving of this chocolate peanut butter green protein smoothie will give you 260 calories and 18 grams of your total carbohydrates, 4 grams being dietary fiber. You will also receive over 800 milligrams of potassium and 22 grams of protein. In terms of vitamins, you will get 20% of your daily vitamin B-6, 25% of your daily vitamin D, 35% of your daily vitamin C, 56% of your daily vitamin E and over 120% of your daily vitamin A. 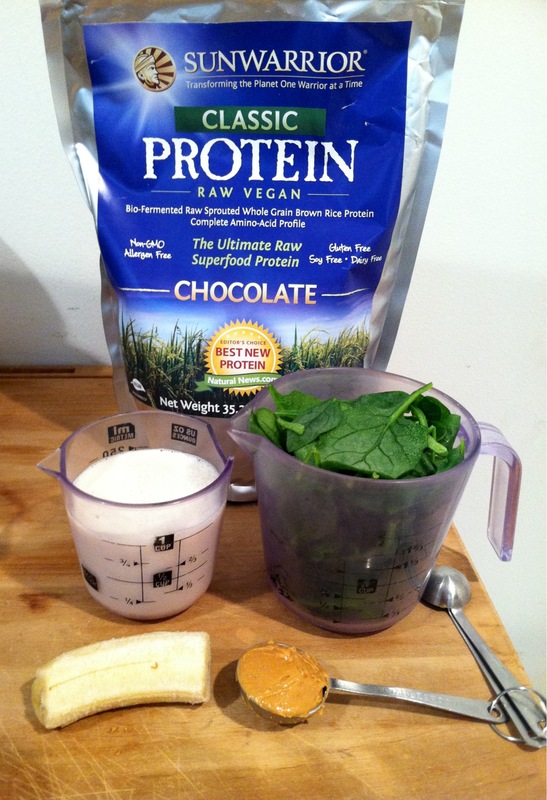 This chocolate peanut butter green protein smoothie will also provide you with a variety of minerals. Some of those include, but are not limited to: 10% of your daily copper, 13% of your daily iron, 31% of your daily folate, and 51% of your daily calcium.